I really want to like Star Wars: Resistance more than I do. It has a lot going for it. The vehicle designs are terrific, the characters are bright and fun and distinct from most of what we usually see in Star Wars. And it was created by Dave Filoni who, I’d argue, channels George Lucas’ vision of Star Wars better than anyone else. I thought The Clone Wars was uneven, but at its best it was as thrilling as any non-movie take on Star Wars as we’ve seen. And I just loved Rebels for its characters, style and heart. But after three episodes, Resistance just isn’t doing it for me. Like Filoni’s previous shows, it focuses on a young hero’s journey, which is something we’ve seen before both inside and outside of Star Wars lore. So far, the focus has firmly been on Kazuda, and the characters around him remain one-note cyphers. In the first episode, Kaz is introduced in a fairly tepid scene meant to establish him as heroic and likeable, but ever since we’ve only seen him as an arrogant, lazy, entitled, self-absorbed, clueless twerp. How hard up for help must the Resistance be that Kaz is the guy selected for a secret mission, heck, any mission? Sure, I get it; this is just the starting point for the character. The Clone Wars and Rebels grew up around their main heroes, and I imagine Resistance will do so as well. But The Clone Wars was as much about Rex and the Clone Troopers’ struggle to find their identities, and Rebels explored a time period largely unseen in Star Wars lore. Ahsoka turned out to be the bright center of The Clone Wars and the point-of-view character the prequel era desperately needed. Rebels’ family unit was immediately engaging, and I cared about every single member of the Ghost’s crew. But while I wait for Kaz to grow up into someone worth rooting for, there has been little else in Resistance to hold my attention. In addition, the stakes are incredibly low. It’s Star Wars without the wars. The First Order is lurking in the shadows, but for now it feels more like American Graffiti in space; just a bunch of kids cruising around in spaceships and getting into trouble. Yeah, that’s how Luke started off, but ninety minutes into Star Wars, he was well on his heroic journey; three episodes in and Kaz still has to be nagged to do his chores and eat his vegetables. Mainly I think Resistance is not meant for an old fogey like me. Even more than its predecessors, it’s a kid’s show. That’s fine. I’m pretty sure 10 year old me would love Resistance. The bold colors! The super-cool spaceship races! The Miyazaki-esque aliens! The further adventures of BB-8! Even grown up me can see the appeal. Perhaps I’ll have to wait for Jon Favreau’s The Mandalorian for a new Star Wars show to catch my fancy. One thing the show is not lacking is Aurebesh and I’d be remiss if I did not include a quick translation. 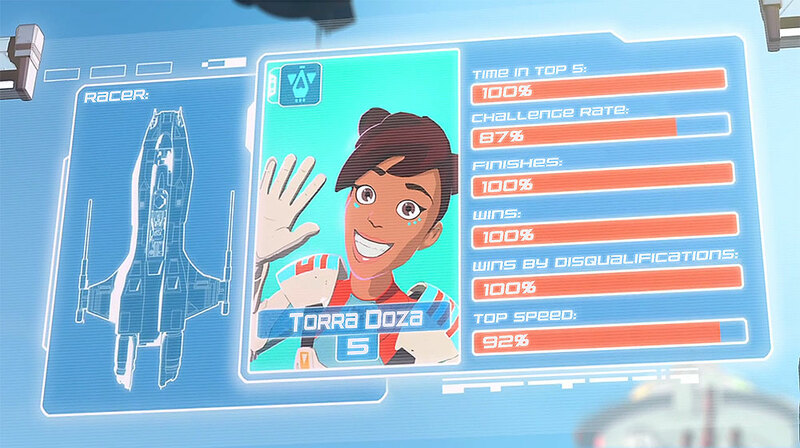 While I don’t know much at all the about character, Torra Doza is already a favorite because I quite like how her flight suit and ship have borrowed the color scheme of Steve McQueen’s Porsche from the 1971 movie Le Mans. This display of her racing stats from the first episode shows that she is a pilot to be reckoned with. Hopefully she’ll become something more than just a background character or a sassy foil for Kaz’s journey to adulthood. I must hand it to the good folks down in Austin they did not scrimp on the news from the latest Cantina Livestream. That amount of stuff we can expect in the next game update previously might have been spread out across an entire season’s worth of a road map, so color me impressed and punch my ticket for the hype-train. Choo choo. To start, I’m going to keep this spoiler-free, avoiding even the mild revelations from the livestream. Please check Galactic Antics, MMObits and Vulkk for far more comprehensive coverage than I could ever hope to provide. 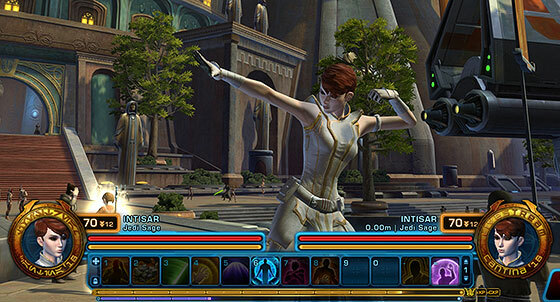 For me, there is a lot to be excited about in Jedi Under Siege. The world, the planet’s design, the new and returning characters, it all looks cool. Instead of going into detail on each point, I think I’ll just discuss the two things that jumped out at me the most. 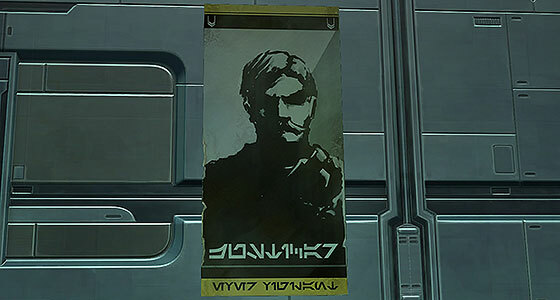 I have written before about how I consider the choice of whether your character supports their original faction or switches allegiances my favorite part of the Iokath story, and I’m pleased that we will be allowed to reinforce that decision. When it comes to story updates, I tend to focus on my two favorite characters, one from each faction: my Consular and my Bounty Hunter. However because both characters opted to side with the Republic my journeys through Iokath were pretty much the same each time. But on the new planet, despite their similar previous choices, it looks like those characters will experience the story differently, and I’m genuinely psyched to dive in. As we’ve seen previously, completing the story will unlock the new zone as a daily area. I seem to be one of the few people who like the Iokath dailies for their variety and scope (stomping around in a walker will never not be fun to me). I hope the quests and environments are interesting enough to make return visits worthwhile beyond the incentive to farm up the new gear. That the new zone will be populated with datacrons, a pair of world bosses and lots of new decorations is certainly promising. I do hope the world bosses are bit more pug friendly than the Dark vs. Light bosses and don’t have ridiculous respawn timers. If at least one is instanced like Toborro’s Courtyard and my guild can run it on our own schedule, I’ll jump for joy. 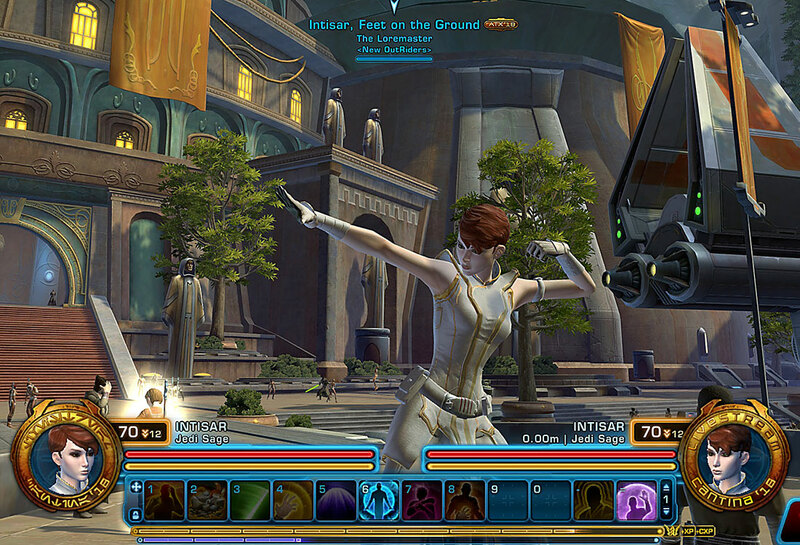 I have no plans to raid Gods from the Machine on its most challenging difficulty, and if scaling up all operations to max level remains the plan for future SWTOR expansions, it’s very possible that I will never even set foot inside it at that difficulty. And, yet, the news surrounding the return of Master Mode operations has me pleased. During Rise of the Hutt Cartel and Shadow of Revan expansions, I was part of a Hard Mode raiding team. We played casually, didn’t shatter any records, but were a solid group of fun people. During Hutt Cartel we and made steady progress on a light progression schedule. That changed during Shadow of Revan. The “hard-mare” version of Ravagers and Temple of Sacrifice, created to be a compromise between Hard and Nightmare modes with the removal of Nightmare mode proved incredibly frustrating, and we ultimately stalled out after only beating the first two encounters of both operations. I’ve never been more angry and disappointed with SWTOR than the night we gave up trying to beat the buggy mess that was Underlurker. Attrition set in and soon after Knights of the Fallen Empire launched without new Operations, the hard mode team was no more. I don’t blame any who quit. We found our groove in Hutt Cartel’s middle lane, and it remains a drag that the removal of a raiding mode that we barely ever touched eventually led to my team’s downfall. The release of Master Mode Gods from the Machine also will included a rebalanced Veteran Mode that I assume will be along the lines of the old Hard Modes from Rise of the Hutt Cartel. If that is the case, then pinch my cheeks and call me Rosy because you can sign me up right now. I’ve recently started raiding Veteran modes again and as much as I do love Terror From Beyond, the thought of learning new hard mode bosses has me thrilled. That’s just two of the things I’m looking forward to in the December update. Here’s hoping the year ends on a high note! However, I fear avoiding spoilers until then will be a challenge. Fingers crossed! 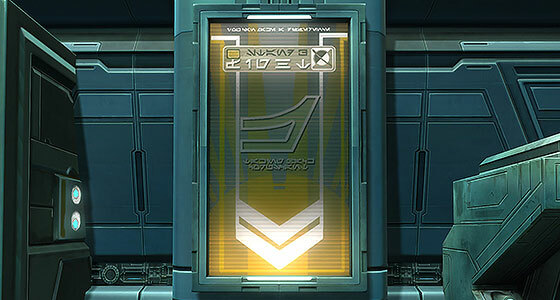 Today This Week in Aurebesh celebrates a rather improbable second birthday, and I thought it would be appropriate to a return to a spot I covered way back in the earliest days of this blog: Justicar Territory on Coruscant. 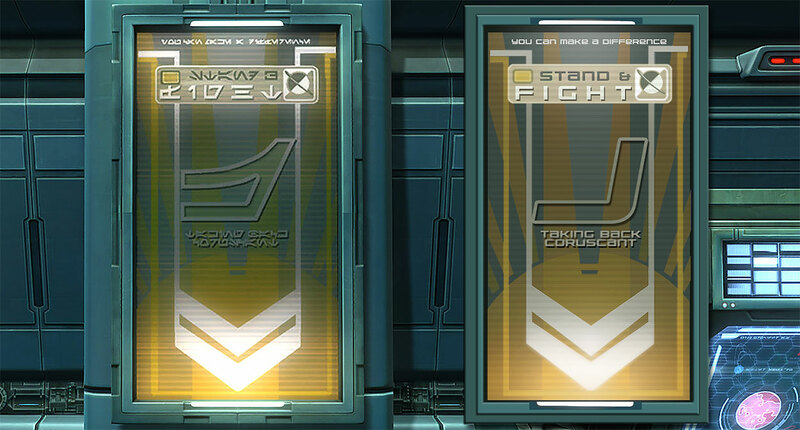 Like the last time around, I’ve re-created a pair of signs that demonstrate the two very different styles of the Justicar’s propaganda seen on Coruscant, and occasionally elsewhere around the galaxy. The first sign is a recruitment poster with a fairly simple, yet effective design. Its words are inspirational, and the bursting sunrise lifts the entire composition. The double chevrons, as always, recall the Justicar’s origins as a military organization and while they might normally act to draw the viewer’s attention downward, in this case, they echo the upward thrust of the sunbeams and have the opposite effect. The vertical layout and use of glowing white highlights inform the viewer that the Justicars are bringing light back to Coruscant, and you can help that effort. The second poster on today’s menu also has a simple layout and minimal color palette, but to me, it recalls wartime propaganda of the First and Second World Wars. There is little thought given to the poster’s graphic design. Indeed this actually looks to be printed on paper with torn edges and curled corners, unlike the previous graphic (and many others in the game) that seem to be displayed on a monitor. I guess the Justicars opted to slash their advertising budget after taking control of the sector. 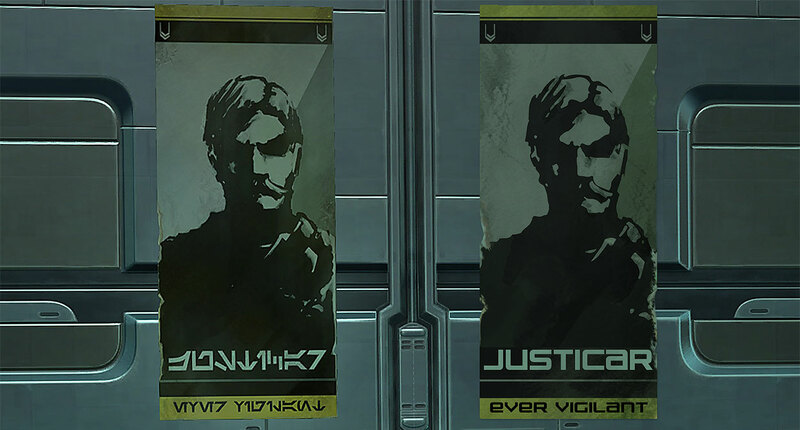 I’ve often wondered who this fellow featured so prominently in the poster is, but his appearance doesn’t match any of the Justicars we meet in the game. Indeed, his huckleberry of a mustache is tragically not even available as a customization option for players. Nevertheless, I think it’s fair to say that this shadowy figure is not watching out for you, but just watching you. Oppression, not inspiration is the message of this poster, and its stark design makes that pretty clear. Finally, I’d like to thank everyone who has stopped by over the last two years. I hope this blog has been as entertaining a place to visit as it has been for me to create. It is weird to look back at some of my original recreations. My initial goal was to make them quick and dirty, but they strike me now as too quick and too dirty. As I’ve gotten more familiar with many of the wonderful graphic styles used in the game, I’m glad my recreations have become somewhat more faithful to the originals. I’ve not yet exhausted the game’s supply of Justicar propaganda, and I suspect we’ll revisit the topic again.